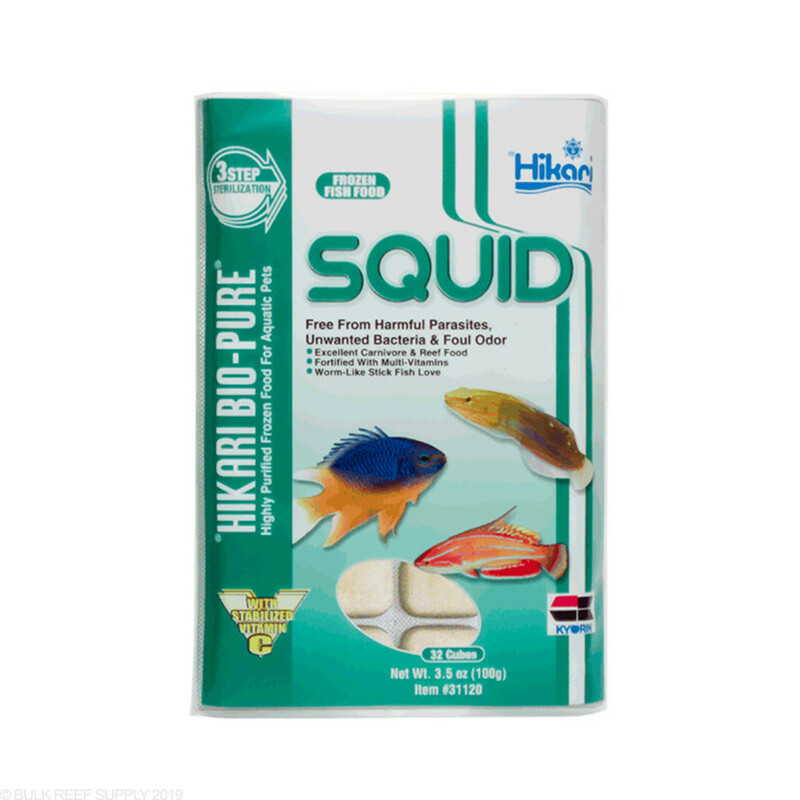 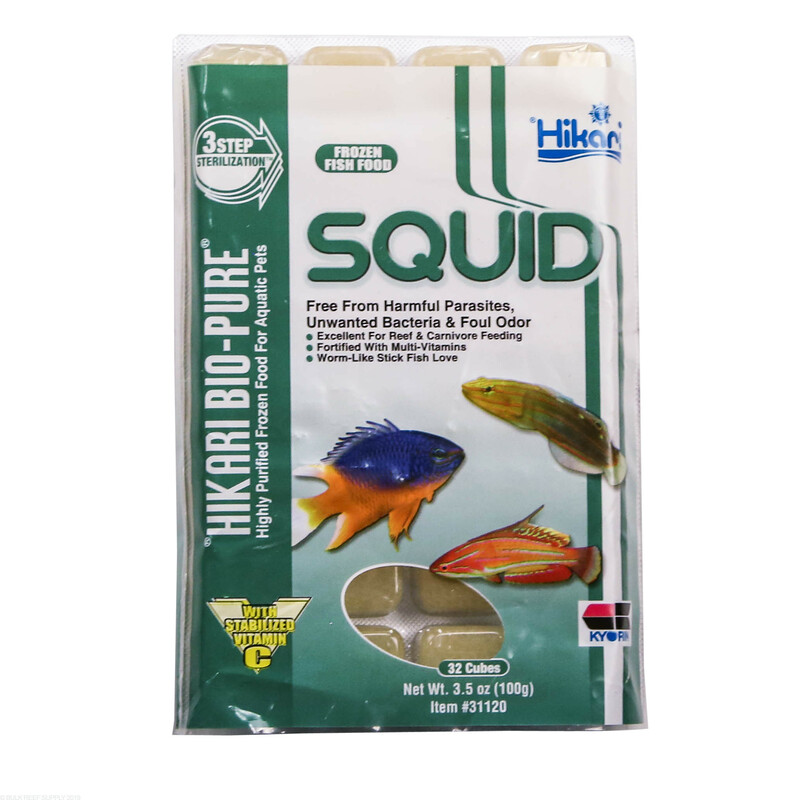 Squid sticks or Squid chunks are perfect for any marine fish. 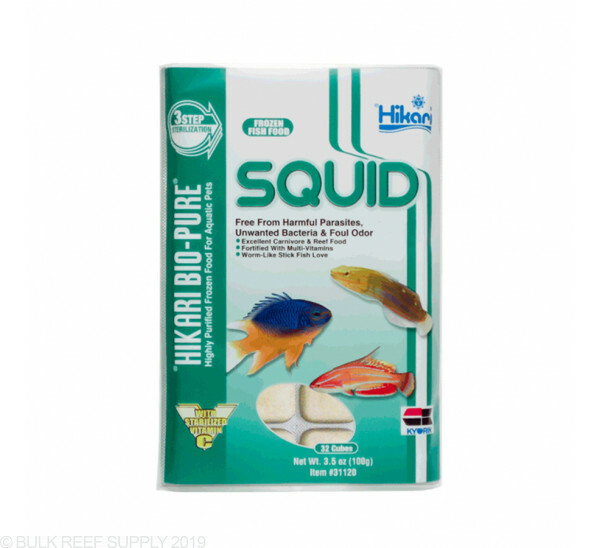 Feed squid as a treat for your reef tank and you will see a frenzy over the delicious, bite size particles the second they are added to the tank. 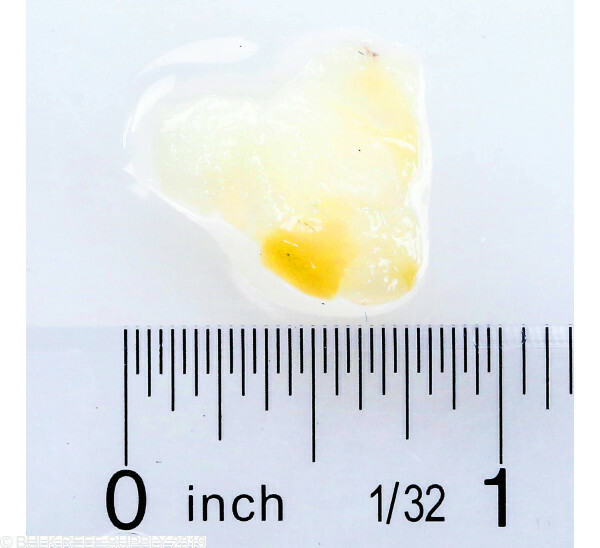 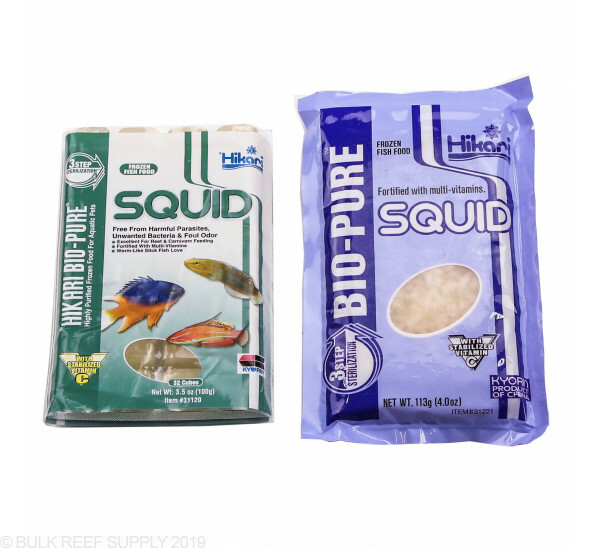 Squid are naturally eaten by many reef fish and are naturally high in protein and fatty acids making them a great food source for almost all carnivorous marine fish. 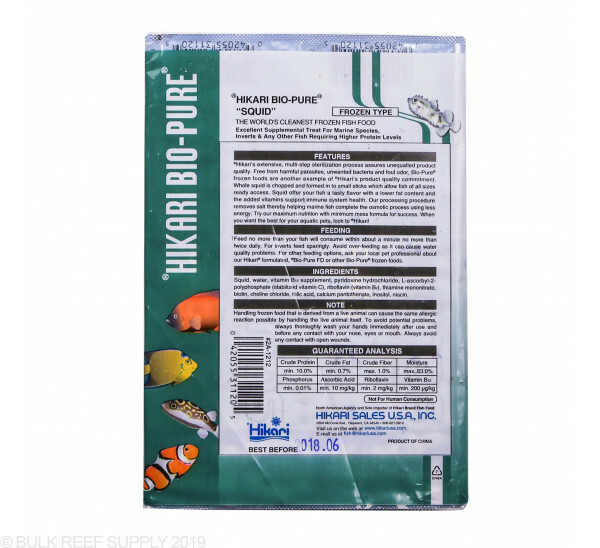 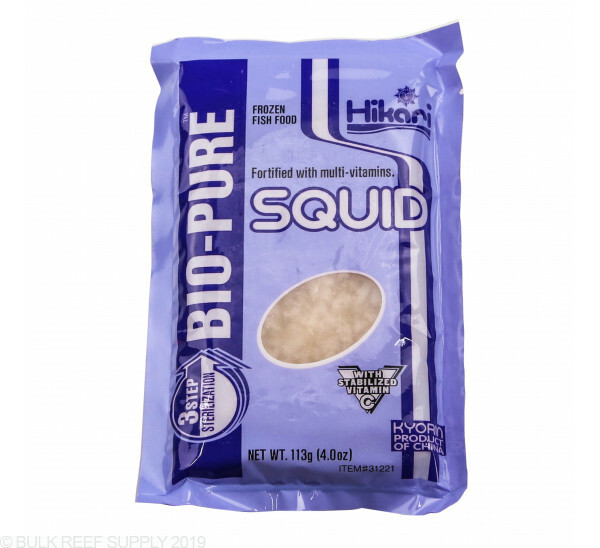 Hikari forms the squid into bite size pieces available in either a stick or chunk form that makes its very easy for your fish to consume and digest. 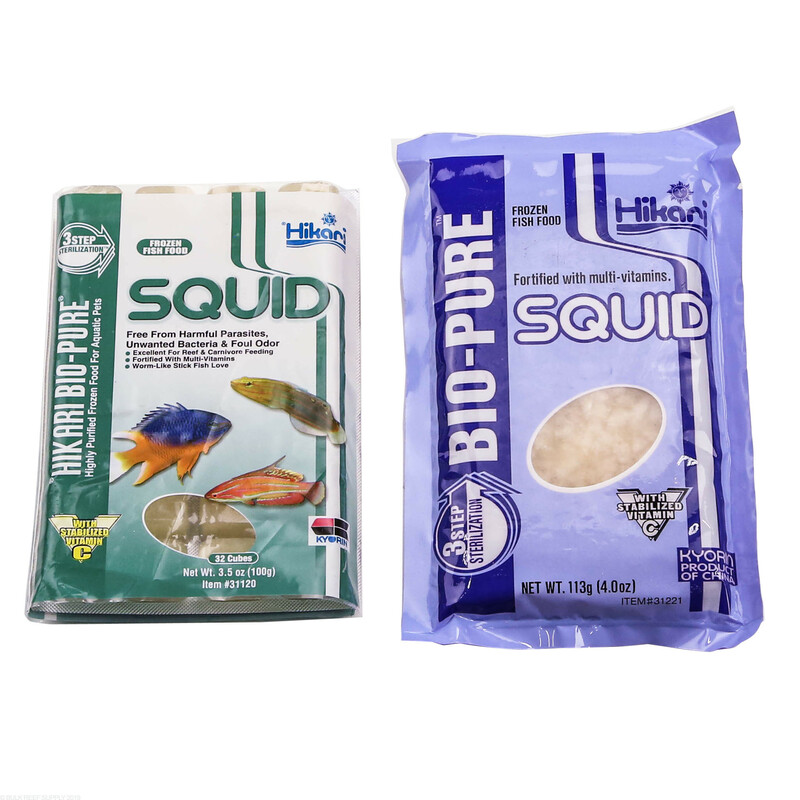 Almost all marine fish will naturally feed on smaller species of squid when available. 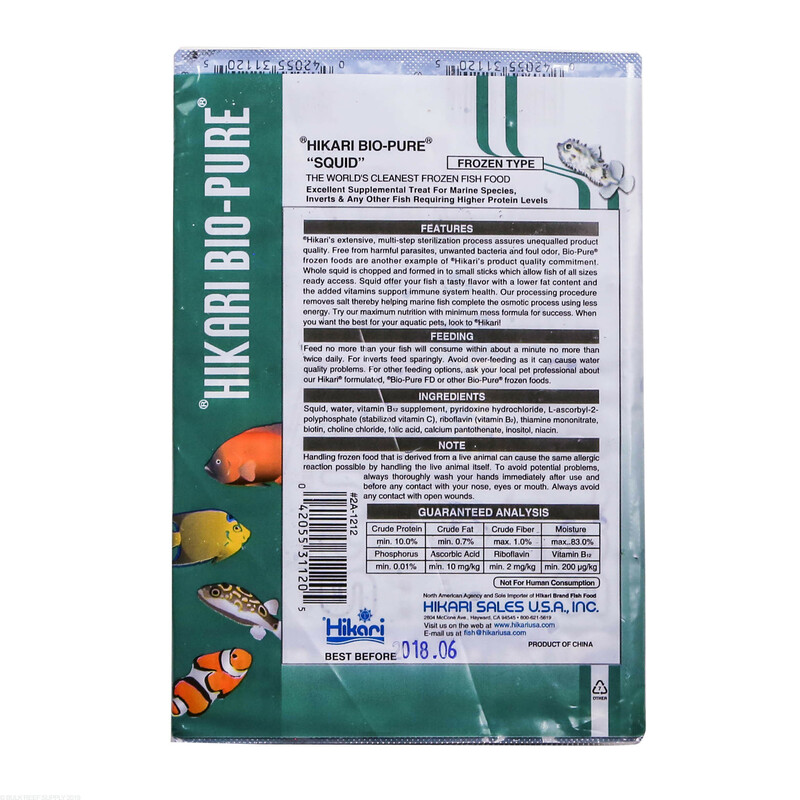 Feed only as much as your fish will consume in a 1 minute period up to two times a day. 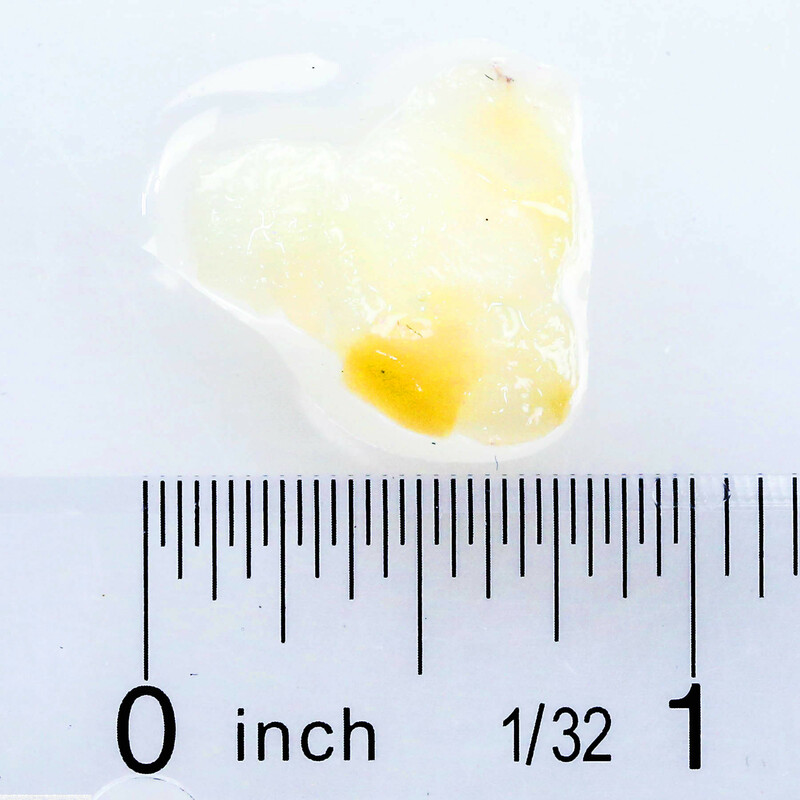 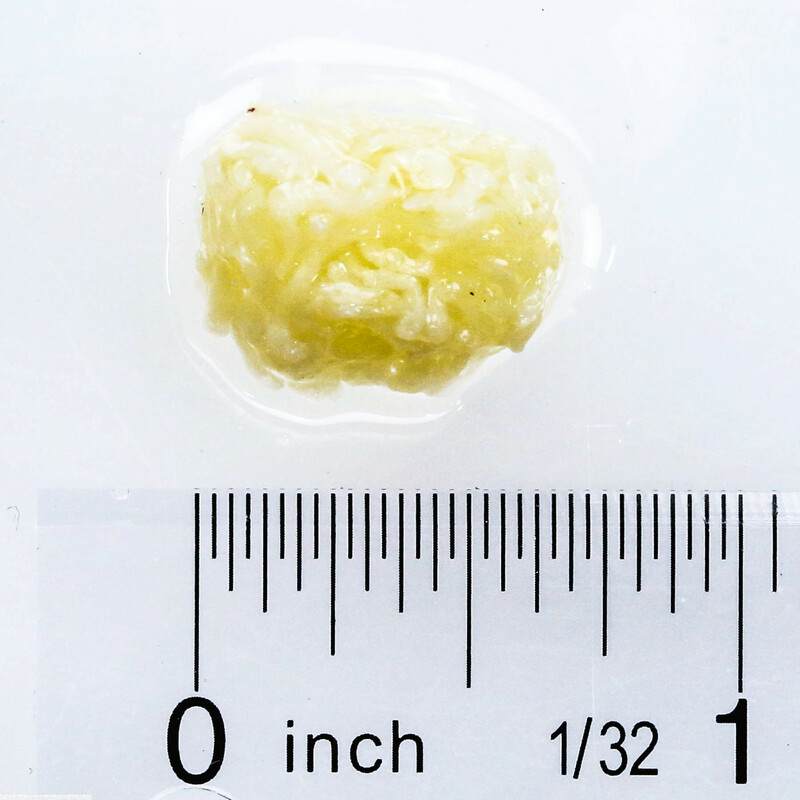 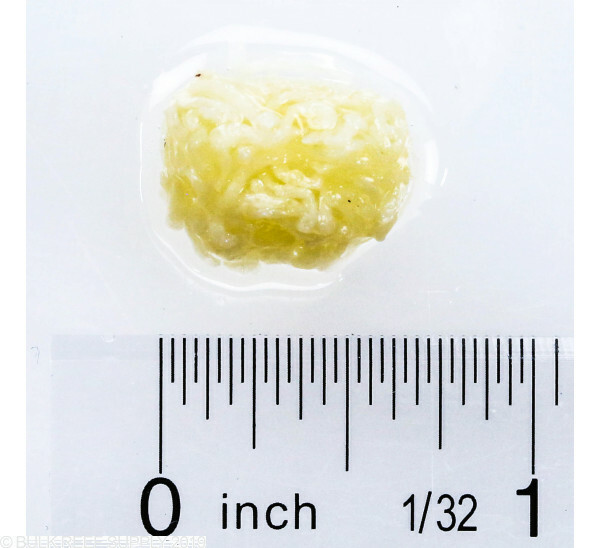 It is best to feed very small amounts multiple times a day over a single large feeding. 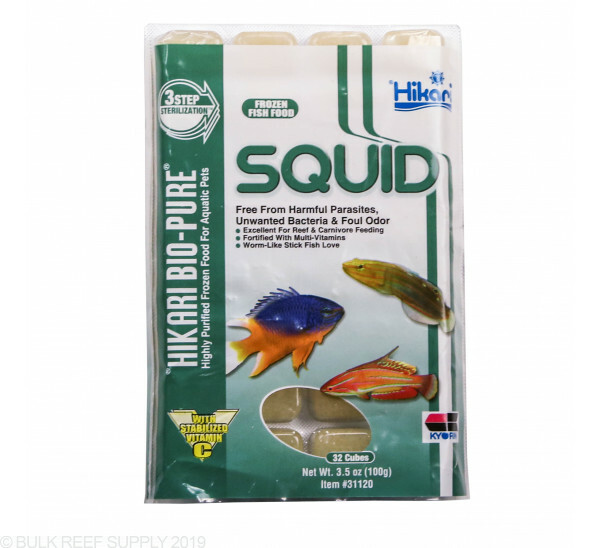 Fish will naturally graze and scavenge for food throughout the day and by offering different foods multiple times a day will mimic their natural feeding instincts and lead to better coloration and overall healthier fish. 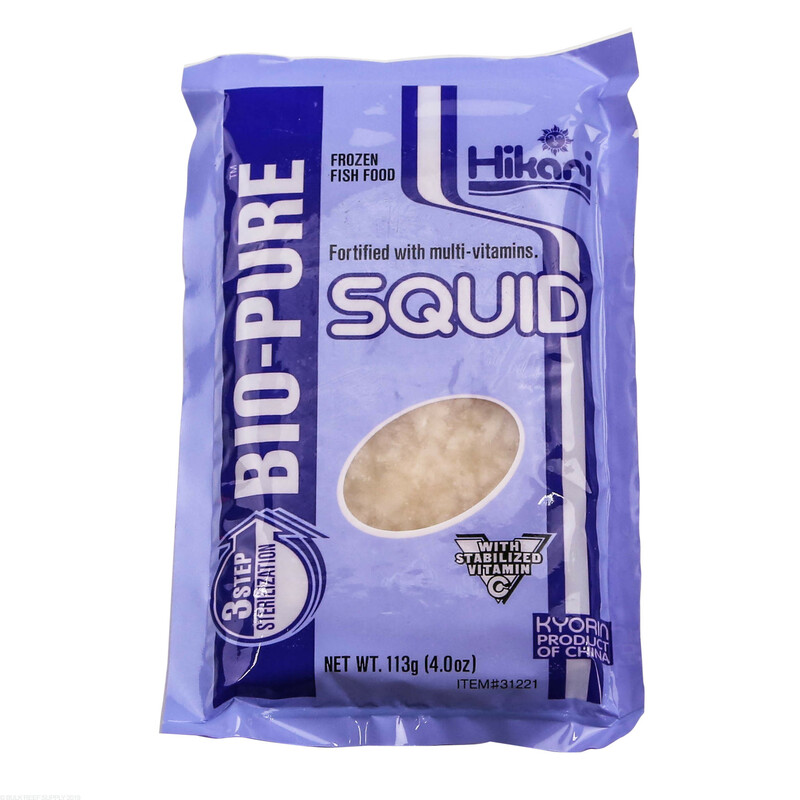 Squid Ingredients: Squid, water, vitamin B12 supplement, pyridoxine hydrochloride, L-ascorbyl-2-polyphosphate (stabilized vitamin C), riboflavin (vitamin B2), thiamine mononitrate, biotin, choline chloride, folic acid, calcium pantothenate, inositol, niacin.